An award winning Chef from Cincinnati Ohio, Bill started his work on Private cars in 2001 when his brother in-law and Co-owner of the Cincinnati Railway Co. Brian Collins asked him to do a weekend run to Washington D.C.
From there it has been a full time adventure. 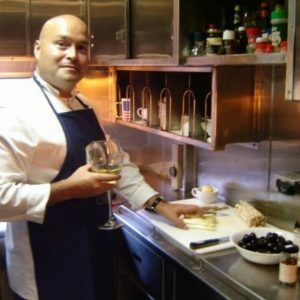 Chef Bill has logged over 1 million miles in the U.S. and Canada working on private charters, and is know as a culinary innovator known for producing top quality meals out of the smallest galleys under harsh conditions & over rough tracks. His guests always disembark with wonderful lifelong memorable experiences. Bill is also the author of Private Luxury Railcars | A Look Inside Todays Privately Owned Railcars.